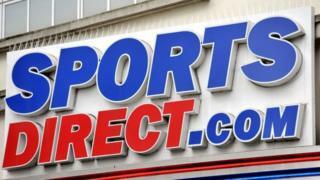 Sports Direct is to close its warehouse in Wigan, threatening 300 jobs. The site will close on 13 June, with employees offered alternative work 80 miles away in Shirebrook, Derbyshire. The GMB union accused the Mike Ashley-owned company of "putting profits before people" in a move described as "a body blow for the North West". Regional secretary Paul McCarthy said the union "would not rest" until every member received "the redundancy pay they are legally entitled". The Press Association understands the closure is due to a lease expiry, but Sports Direct has not responded to a request for comment. Debenhams recently rejected two last-ditch takeover offers from Sports Direct after it went into administration. Newcastle United owner Mr Ashley is now pursuing legal action against administrators to the department store chain, after seeing his near 30% stake wiped out.